Do you love to quilt? Do you like sewing with friends? Do like it when your quilt pieces are PRE-CUT and you get straight to the fun part?! Then you will LOVE your time at my Mountain Quilt Retreat! 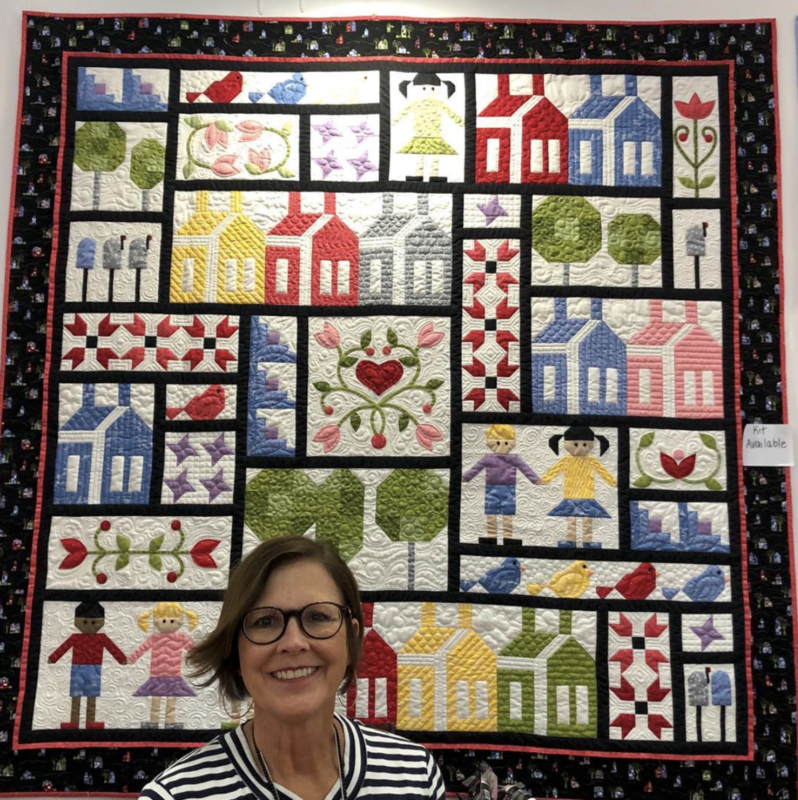 Join us this Summer 2019 in beautiful Park City, UT for 3 1/2 days and 4 nights of quilting fun! Read on for all the retreat details, see the quilt we will be making, and to save your seat! First things first: the quilt! We will be making this charming quilt at retreat. This quilt is called Block Party and it is my newest pattern. You will learn precision piecing, new techniques, and how to appliqué the Jillily way! Now that you’ve seen the quilt, let’s talk DETAILS! WHERE: The retreat will be held in beautiful Park City, UT. WHEN: We have spots open for June 12-16 and August 18-22. That’s 3 1/2 days and 4 nights in our lovely cabin! You receive a PRE-CUT quilt kit and ALL supplies!! No spending any precious retreat time cutting! Spots are filling up fast so be sure to get your seat saved! I am so excited for this year’s retreat and to meet new sewing friends (and I hope you are too)! As always you can contact jill@jillilystudio.com with ANY questions you have about retreat (or anything else)!